At Country Hills Dentistry, dental sealants are used to prevent cavities developing in a children's mouths. Dental sealants are clear or tooth coloured materials that are applied to the permanent molars in order to prevent cavities in children. Dental sealant is applied to the chewing surface of the teeth and bonded in place to seal all the grooves which may be potential problem areas for decay. This is done during a regular scheduled office visit, without anaesthesia and is completely painless. Dental sealants will last several years if proper care is taken. If necessary, the dental sealant can be re-applied. During your child’s regular checkup, our skilled team will assess your child’s dental health and advise whether dental sealant is recommended to prevent decay. 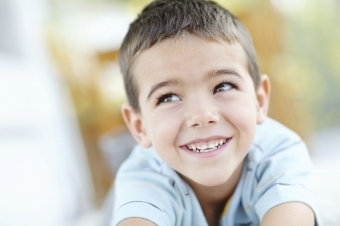 Does my child still need fluoride if she has dental sealants? If your child has dental sealants, she still needs fluoride. While dental sealants provide excellent protection from cavities for the teeth on which they are placed, fluoride will protect all of your child’s teeth from cavities. I am happy to be a part of a team that is like family. My favourite part is seeing patients smile at the end of an appointment and loving their new look. At Country Hills Dentistry we are a caring, efficient service-oriented where our patients are very important to us.